**Pay Attention:** Cisco IOU binaries are not for public use. If you are a Cisco guy you must ask your company how you can get IOU binary files and license. Other do not have rights to use IOU images. IOU Images - As already mentioned, strictly for Cisco guys! But still you might get these images by Googling! 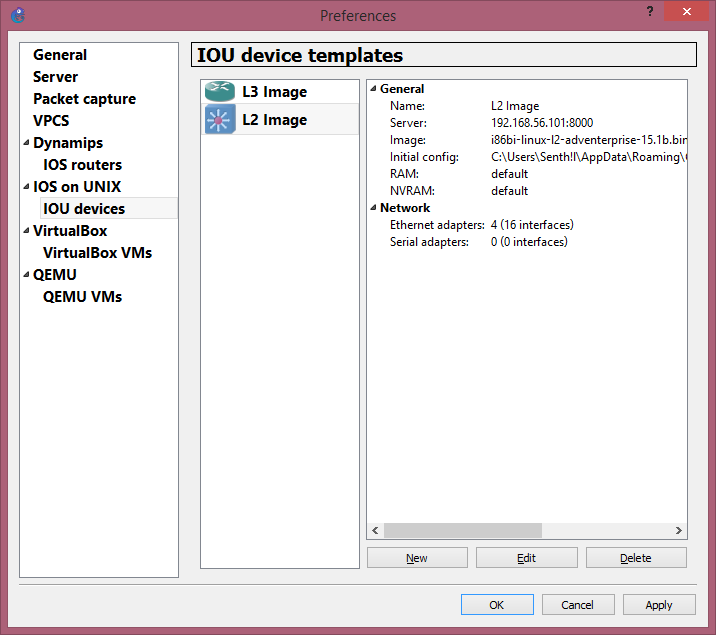 Download the IOU Virtual Machine from the given Sourceforge link. Now it's time to upload the IOU images. Well! I happened to find some IOU Images from this link. Type 192.168.56.101:8000/upload on your browser address bar. Click on 'Choose file', a file browser window will open. 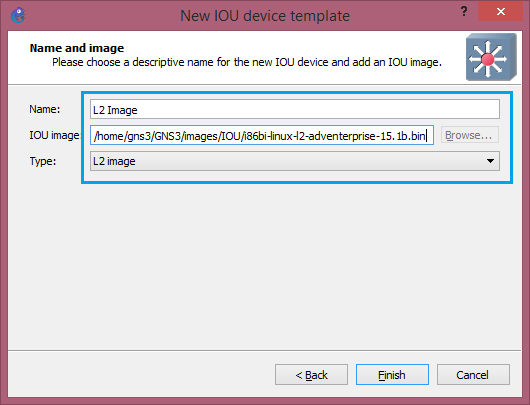 Select the downloaded IOU image and click 'Upload', this might take few minutes. 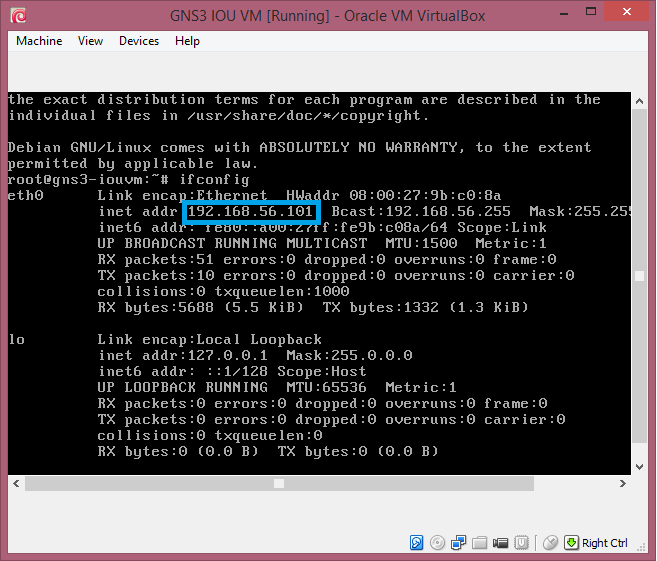 Make a note of displayed path, /home/gns3/GNS3/images/IOU/xxxxxxxx. Later you will have to enter this path in GNS3. 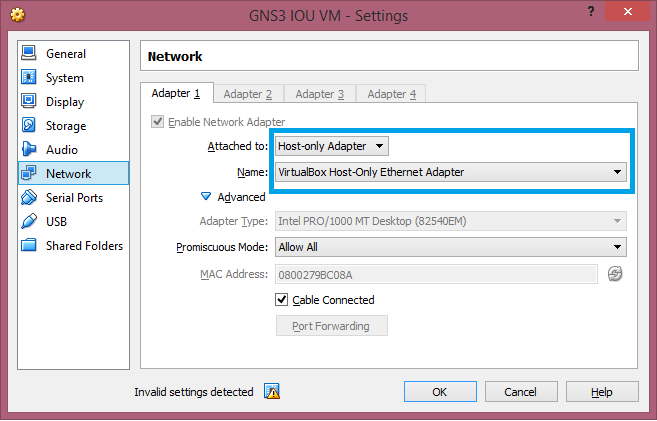 Go to Edit -> Preferences -> GNS3 Server. Click on Local server tab. From the Host Binding drop down window select '192.168.56.101'. Make sure that port is also set to 8000. 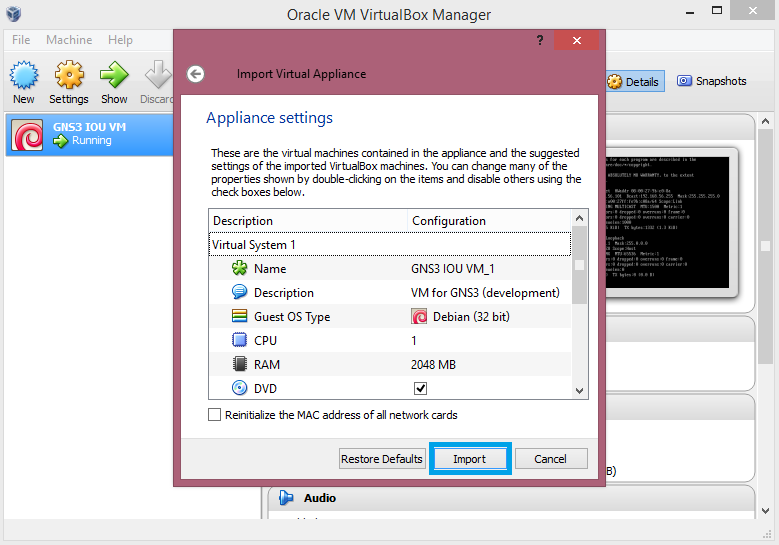 Then click Apply and OK.
Again go to Edit -> Preferences -> GNS3 Server. This time click on Remote access tab. Add a host by entering UNIX GNS3 IOU VM IP address that we found using ifconfig (mine 192.168.56.101) and 8000 as port. Click Finish! Yes, we are done with all the configurations. 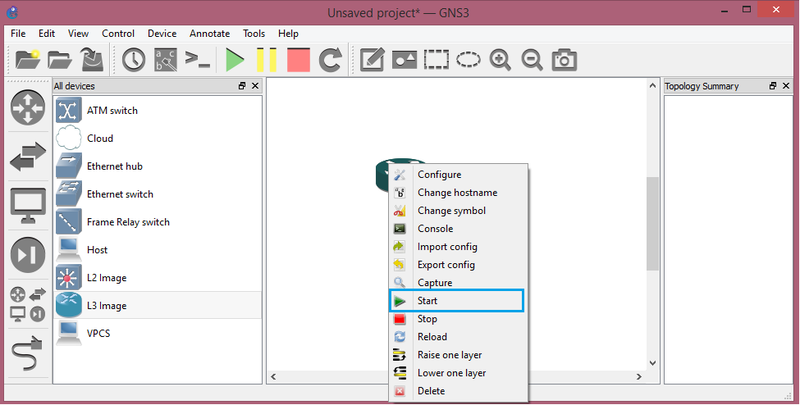 By repeating the above steps, you can upload as many as images you want and you can add them to your GNS3 emulator window. For example I have uploaded 2 images (L3 and L2) as shown below. That's all folks! 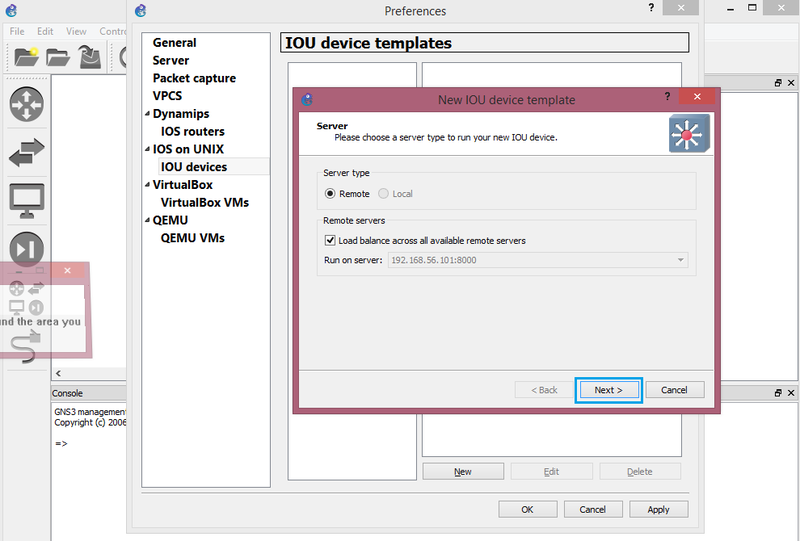 I believe I have covered all the required steps to get IOU running with GNS3, In case of any clarifications, do let me know through comment section below.